Pattern is here (at the bottom of this post), if you want to skip my thought process for getting there. I picked up a happy little ‘Party of Five’ Tough Love Sock gradient kit (by SweetGeorgia Yarns) at the 2015 Pom Pom Quarterly Christmas party (it was a very obliging night for sparking new projects, for me). 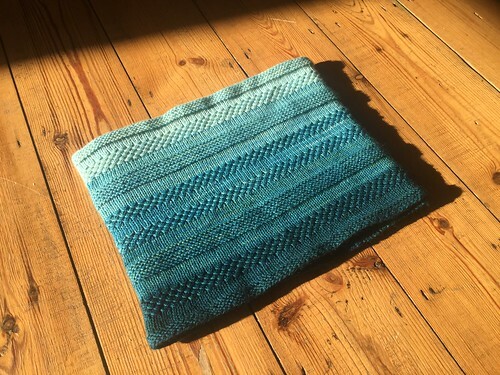 If you stick around this blog for any length of time you’ll start to notice a recurring colour theme of shades of blue, aqua and turquoise – so this kit couldn’t have been designed better for ticking all of my ‘want it’ boxes. I’d show you a picture of the cute little skeins, except that my lovely knitting buddies helped me wind up all five at the party that night so that I could cast-on for something asap. Love them! 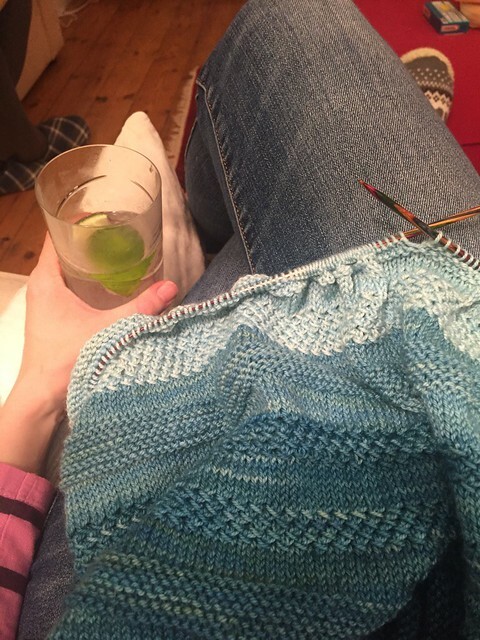 So, I had five skeins of approx 105 yards each, and I wanted an easy-to-knit Christmas project where I didn’t have to worry about concentrating on a pattern while chatting to people (and, perhaps, while enjoying a festive tipple from time to time…). 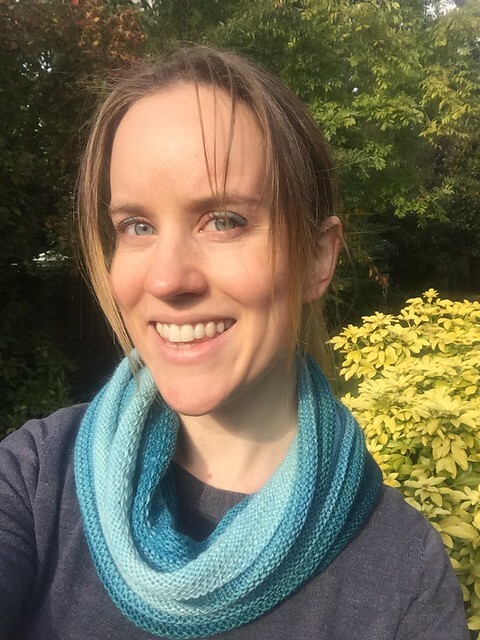 It didn’t take me long to decide that the beauty of whatever I knitted was going to be in the colours and the ombre effect, so I decided on an easy-peasy minimal-thought cowl with bands of different stitches for interest and texture. 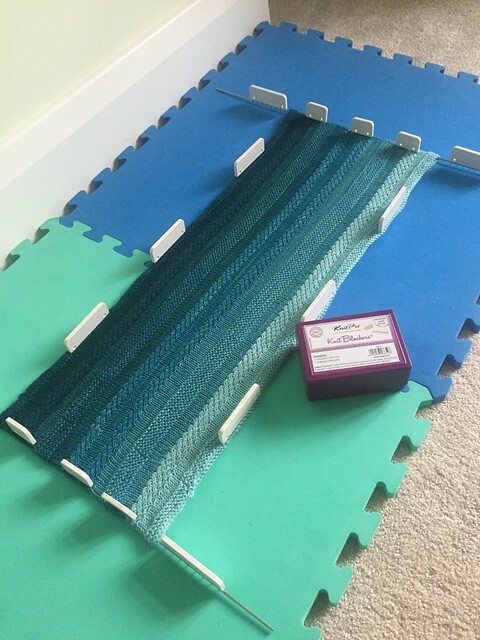 I was inspired by some of the stitch patterns from Orlane’s textured shawl recipe, adapted for knitting in the round, and did a little bit of playing around with gauge (and making sure the textured stitch bits only ever followed on from a row of the right colour stocking stitch). I wanted a long cowl which I’d wear doubled-up most of the time. 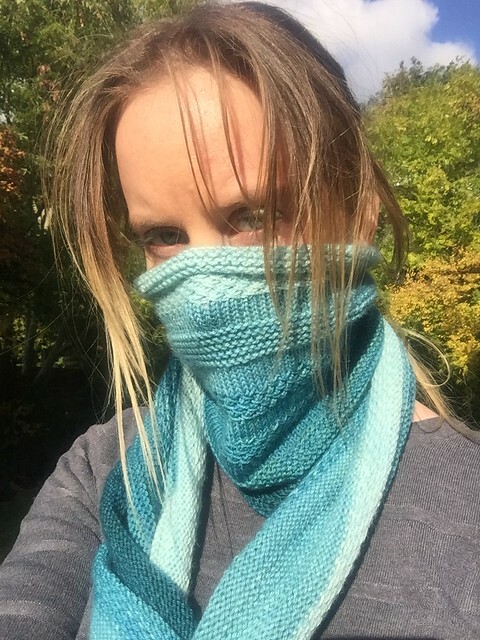 It lets me wear it comfortably around my neck, or I can scrunch it up for something cosy when it’s extra cold, or I can pretend to be a bandit if I want to (I generally don’t). I did make one mistake upfront, which I worked out about halfway through (but was too lazy to rip back and reknit), which is that I started and finished with bands of garter stitch. Garter stitch is wider than the other stitch patterns I used, and because it’s the same number of stitches all the way through, the top and bottom have a tendency to flip. Luckily for me, the joy of a cowl is that it ALL flips about and twists here and there so it really doesn’t matter. The important thing is the colours, which are always visible. Quick shout-out to my latest blocking gadgets, which are these KnitPro multi-pin blocking combs. I got a pack from my LYS the other day (who don’t sell online, or I’d link to them instead) and thought I’d give them a go the other night. I love them! They make blocking SO EASY. Pinning out the cowl (I’ve also used a couple of wires at either end) took about three minutes. I feel a bit of a fraud calling this a ‘pattern’, but for the record here’s what I did. 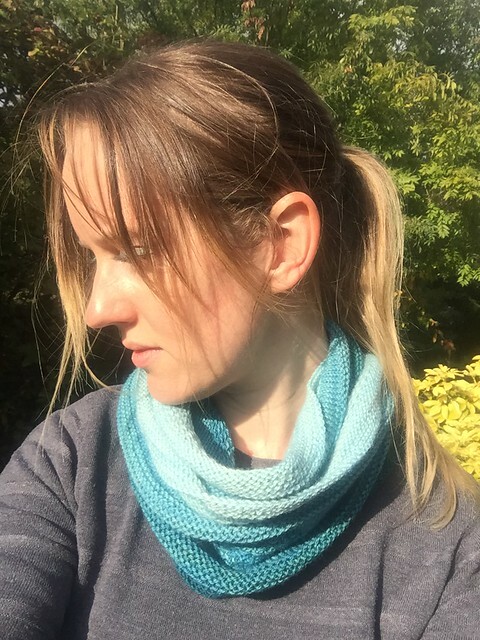 As mentioned above, you might want to swap around the opening/closing garter stitch for a different stitch (like moss stitch) if you don’t want the top/bottom flip effect. That said I kind of love it now – so up to you! Oh this looks so so lovely! The gradient effect makes it even more special, thank you so much for sharing your notes! You’re very welcome, and thank you for the lovely comment! 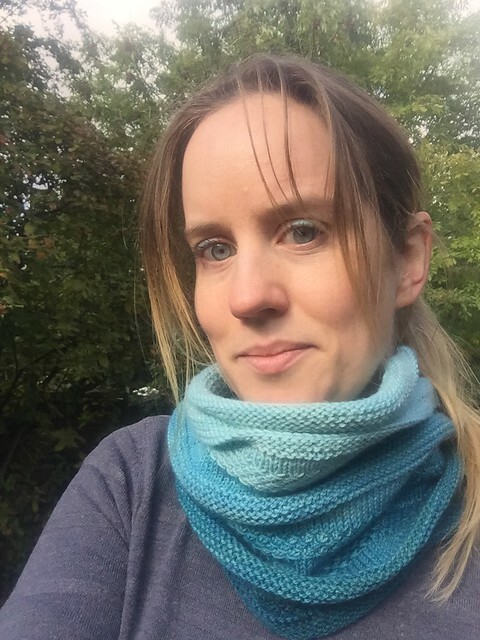 I love this yarn and the resulting cowl so very much – super simple but really effective. What a great travel pattern! Thank you for sharing it. Pleasure! I hope you enjoy the pattern, if you decide to make it. I think you have reversed garter stitch and stocking (stockinette) stitch in directing how to accomplish. Garter is knit every row and stocking is alternate knit and purl rows. Newbies might get confused when their cowl doesn’t look like yours. Ahh, not in this case because the cowl is knitted in the round (so you have to knit every round for stocking stitch or alternate knit/purl rounds for garter). However, you have made me realise that, although I mention joining for knitting in the round, I then go on to refer to ‘rows’ which is confusing. Thank you for pointing that out – I’ll switch the ‘row’ references to ’round’ references now! Also, should #5 be the same as #3? Wouldn’t it be 7 rows, 9 rows, 6 rows, so you can start textured rows on right side? Same as above – because it’s in the round it you’re always working on the right side. But can’t believe I didn’t notice I was writing rows rather than rounds before! I’m planning on making this with my new yarn Santa gave me! What length circulars did you use please? Ahh that’s great, I hope you enjoy! The circumference of this is quite large so most circulars would be fine. I can’t remember the exact length I used but something in the region of 60-80cm should work well.